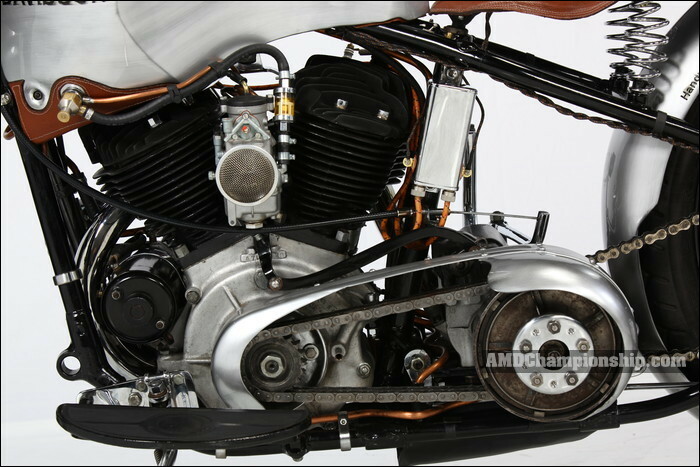 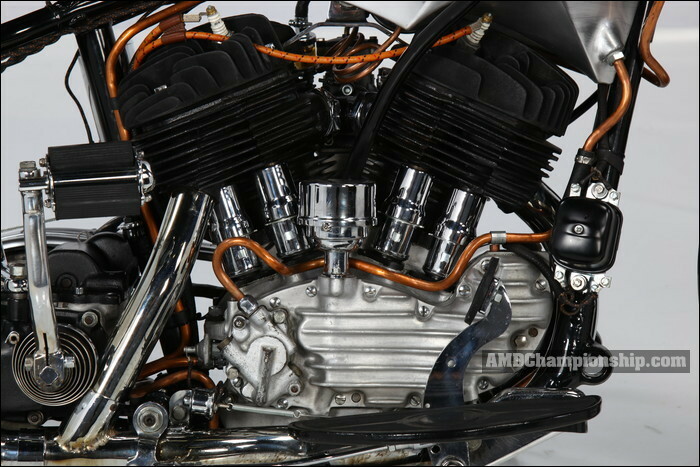 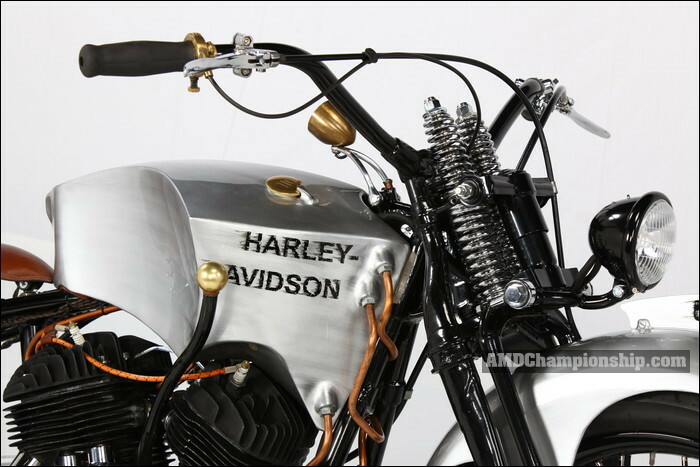 Harley Flathead 1200ccm is an unprecedented proof that you can do with a Side Valve a purebred and stylish racer. 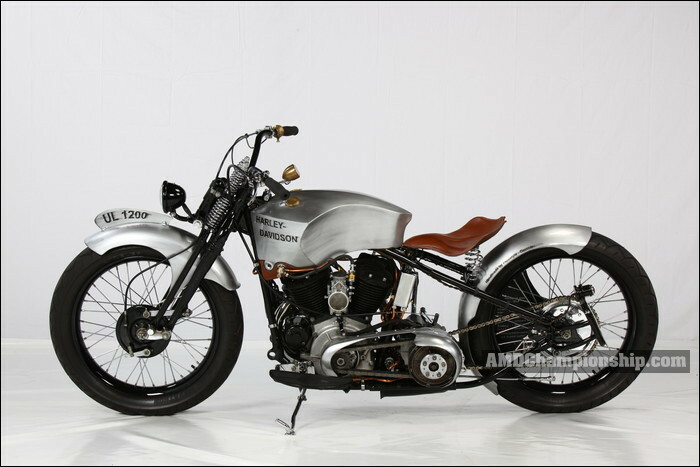 By a modification to the engine and chassis is the motorcycle absolute practicality and read yourself Fantasy driving. 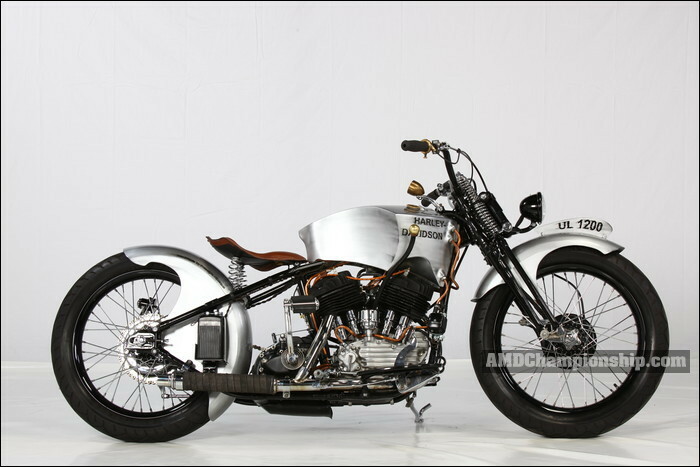 I call the Bike "The Time Machine"
The following parts and elements are invented, Modified or Custom hand built by Freestyle: Engine 1340ccm BigBor, Enhanced oil circuit, Sharp cam, ignition, carburetor Dellorto, oil cooling, fuel tank with oil tank integrated aluminum wheels 21 "Fender Rear asymmetrical aluminum (such as a flywheel, an automatic clock), Open Primer drive aluminum, seat shell aluminum, anatomical shape, electrical, copper pipes and oil cooler, exhaust, shifter, license plate holder.